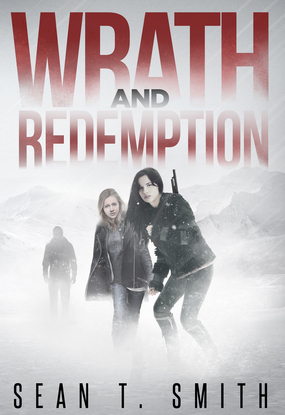 I recently had the opportunity to read the Wrath trilogy by Permuted Press author Sean T Smith. It is a post-apocalyptic series set after a global nuclear war. I can tell you this without giving anything away, since it is fairly early on that the war happens. Unlike many of the Permuted Press books (mine included) there is nothing supernatural going on in these novels. There are no zombies, no vampires, no creatures of legend stalking the forests or catacombs. The protagonists and antagonists of the series are all human, all everyday people with hopes and dreams, fully realised in the broad scope of the world Smith has drawn. 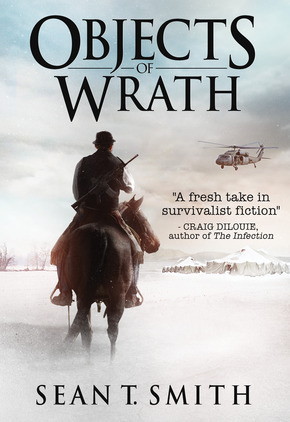 Objects of Wrath is the first novel, and an excellent starting place for the fast-paced action to follow. We meet our protagonists early on, and follow them through the horrific events of the war. The book is told first-person, a style that works well here, allowing an intimacy with the main character to develop. Smith presents us with a harsh world in the aftermath of a global nuclear exchange, and through the eyes of William Fox we see horrors and tragedies, but we also see hope and the possibility of some good coming out of The Fall. William is a complex character, with both positive and negative traits. He adapts to his world as well as he can, but the grim reality of the story demands that things do not always go well. At the end, after both triumph and tragedy, William is still standing. Smith’s style of writing is quite good, and his characters are fully developed from the start. However, there were some abrupt transitions that I found slightly jarring, taking me out of the flow of the text. Things that could easily have been fleshed out were dealt with in only a single sentence, at times. This doesn’t detract from the rest of the book, however. 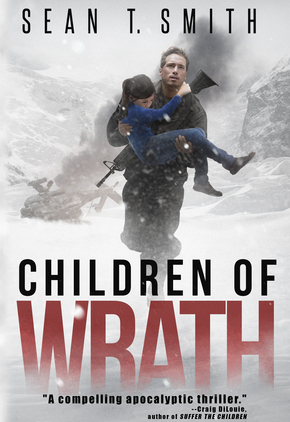 The second novel, Children of Wrath, picks up the story a few years later, continuing William’s tale, again from his point of view. The event that starts the conflicts in this novel is a very personal one, striking the characters central to the tale right where they live. By the time this story starts, some semblance of civilisation has begun again, and with civilisation comes international conflict. New characters are introduced, new places are explored, and more of the broken new world revealed. Gone are the abrupt transitions that bothered me in the first book. Smith has smoothed out the few rough spots he had in his style, and delivers an exciting story filled with tension and loads of action. William and his fellows face challenges, and sometimes prevail, but not always. That is a truth that Smith explores in these books, that I find refreshing; the good guys don’t always win. This is a theme explored throughout the series, and represents a reality sometimes missing in post-apocalyptic fiction. The physical toll on characters that are shot, stabbed, maimed in other ways is extreme, but welcome. Wrath and Redemption shifts POV from first to third person. William is no longer our sole protagonist, but one of three, whom we follow through their story arcs. Several more years have passed, and international conflict again is rearing its head. Not content to learn the lessons of The Fall, humanity again appears to be ready to destroy the world, and it is up to William and his family and fellows to head that off. The scale of the conflict is greater, the stakes higher, and the tension builds throughout the book. Again, characters come and go, sometimes abruptly, but always with reason and purpose. The story is exciting and a real page turner. Smith has written the pinnacle of the series with seemingly effortless attention to detail, leaving readers wanting more from this harsh world. Even the protagonists have their dark sides, and this too is explored in some depth. The finale leaves room for more exploration, if Smith so chooses, but in the end it is a satisfying place to end the tales of William Fox, his family, and fellow soldiers.